This past spring Ikea joined Concept Kitchen 2025 at the Milan Design week to explore how the kitchen “as we know it” will change in the future. 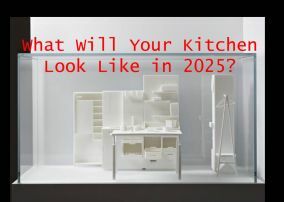 Concept Kitchen 2025 surveyed students from Lund University and the Eindhoven University of Technology about their assumptions of the kitchen in ten years and then teamed up with Ideo innovative design firm to develop prototypes for the future 2025 kitchen. According to the analysis, the kitchen of the future will include more technology, and will be more practical and environmental. This whole concept had “project” for CTE & STEM classes or an Interior Design class written all over it. So…below you will find some ideas of how to incorporate this into your curriculum. Ask students the same question that the students of this study were asked “What will life around food look like in 2025? And will we be able to help people live a healthier more sustainable lifestyle?” Have students share their answers to see what their ideas are. Explain that this was actually done with students from two universities and have them take notes by reading and summarizing their assumptions found here. Option #1: Keeping the future concepts in mind, have students create their vision of the 2025 kitchen by either designing a functional kitchen floor plan drawn to scale or creating a layout (like a shoebox design or diorama) using limited space, while also incorporating technology in unique places or ways. Option #2: Create a detailed sketch and written explanation of a prototype incorporating technology in a unique way into the future kitchen (again, keeping the future concepts in mind). If your school has a CAD program, this could be further developed into an actual blue print. Some schools have a 3-D printer or work with local universities and the engineering departments that could also produce the actual prototype. To illustrate an innovative example of technology in the kitchen, view the Moen MotionSense kitchen faucet clip. After students have completed their project(s) have them present and share their designs with the class. At this point I would show students the actual protoypes of ideas that the university students created to see how they compare. The prototypes found in the resources below include: “A Table for Living”, “Storing Visually”, “Disposing Thoughtfully”, Mindful Water Use” and “The Creative Cook”. Discuss their thoughts and reactions after viewing. This could be further formed into a real blue print. A few schools have a 3-D printer or work with nearby colleges and the designing divisions that could likewise create the real model. Very well written article.A few schools at my town started designing and printing using 3 -D printers. I am a big fan of kitchen design. Thank for this great share!